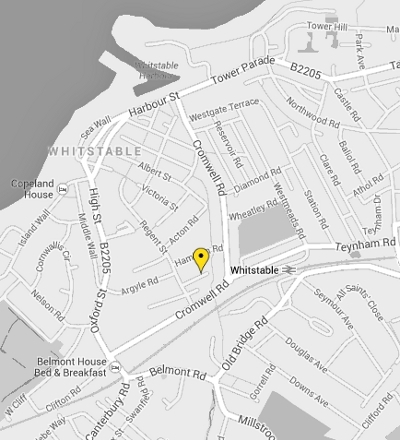 Monk & Toogood Ltd are a small company based in Whitstable and covering Canterbury and the surrounding area. We provide upholstery services for all your domestic needs and specialise in the renovation of Retro and Vintage furniture. In addition to our upholstering work we also provide bespoke carpentry for all those little nooks and crannies and hard to fill spaces. Contact us for more information. 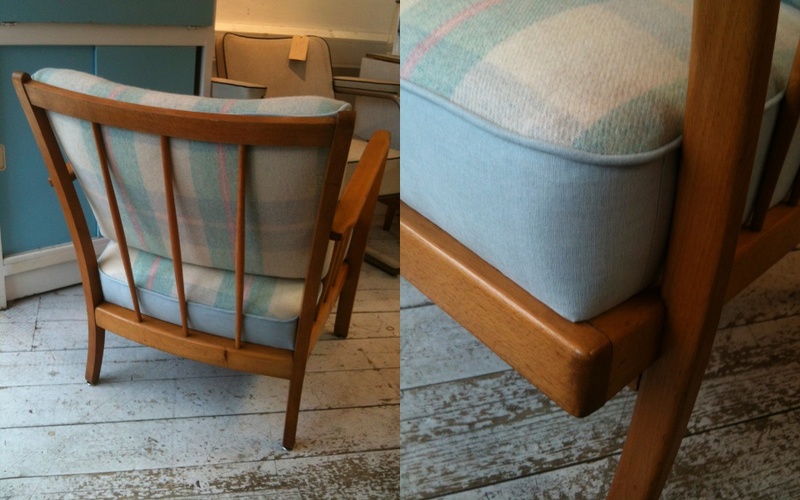 Let us give a give a new lease of life to a treasured or “new to you” item of your own, or you can come choose from stock items to be upholstered to your own specifications. We can give you a quote to ponder after viewing and discussion. That much loved piece of fabric you’ve had FOREVER...or that piece you just HAD to buy because it was too darn gorgeous to be left on the shelf... We can incorporate it into your furniture and bring it to life. And with such a beautiful selection of retro rich and super stylish modern fabrics on the market today anything is possible. We can mix and match or keep it simple and stylish. Button it! Pipe it! Blanket stitch or make it pompom-tastic!!! 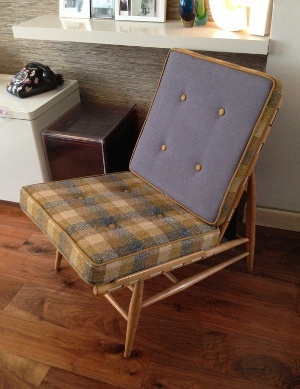 We also have a selection of retro and vintage pieces upholstered and renovated in our own eclectic style. Be that cosy vintage woollens or super kitsch 50's florals, we aim to make our furniture unusual and interesting whilst always beautifully executed. Soft furnishings, loose covers and complimentary items are also lovingly undertaken. You’ll find that we have a small stock of quirky vintage pieces to decorate your home - so just give us a call to come take a peek - we're very near Canterbury. All enquiries most welcome! We are also suppliers of carpentry, prop making and upholstery to the Theatre Industry. Both Pj and Tracey have worked in the theatre industry for in excess of 20 years each, and whilst Pj has worked as Head Of Stage at The Donmar Warehouse and The Old Vic Theatre, he currently works both nationally and internationally as Production Carpenter on shows including “Charlie And The Chocolate Factory” and “The Lion King”. Tracey has been props maker/supervisor and upholsterer for some of London's premier Theatre Companies and Scenic Studios including The Old Vic Theatre Company, The Donmar Warehouse and Souvenir Scenic Studios amongst others. See our renovated furniture or get a quote!